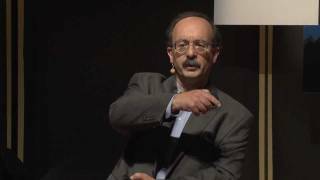 Named one of Time’s 100 most influential people and Foreign Policy’s top 100 global thinkers, Amory Lovins has been at the nexus of energy, resources, environment, development and security in more than 50 countries for 35 years and is widely considered among the world’s leading authorities on energy-especially its efficient use and sustainable supply-and a fertile innovator in integrative design. His critical thinking has driven people around the globe, from world leaders to the average Joe, to think differently about energy and its role in some of our biggest problems. Lovins, who calls himself a “recovering physicist,” has a lengthy list of titles, accolades and accomplishments, chief among them the invention of super-efficient ultralight hybrid cars, and the co-foundation of the influential Rocky Mountain Institute (RMI), an entrepreneurial nonprofit “think-and-do tank” that addresses issues related to the efficient and sustainable use of the world’s resources. Lovins currently serves as chairman and chief scientist at RMI. A Harvard and Oxford dropout, Lovins is a former Oxford don and Swedish engineering academician, advisor to major firms and governments worldwide on advanced energy efficiency, distinguished lecturer and visiting professor, and author of 31 books, including the highly esteemed 2004 tome called Winning the Oil Endgame that outlines how all U.S. oil use can be eliminated by 2040, and more than 450 papers. He is recipient of the Blue Planet, Volvo, Zayed, Onassis, Nissan, Shingo and Mitchell prizes, MacArthur, Ashoka and Royal Society of the Arts fellowships, 11 honorary doctorates, and the Heinz, Lindbergh, Right Livelihood (“alternative Nobel”), National Design and World Technology awards.